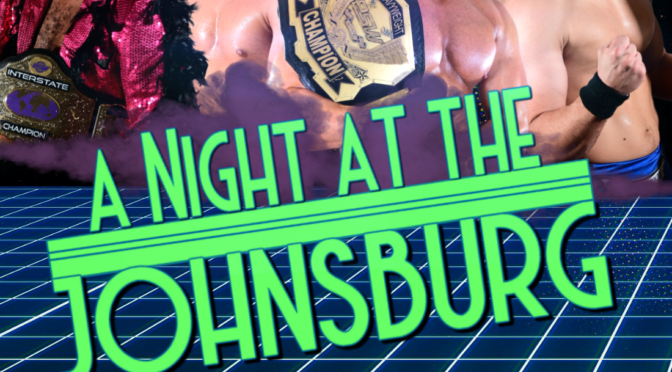 Results from ESW “A Night at the Johnsburg”: Saturday, January 19; featuring Lisa Marie vs. Allie! Thank you for braving a snow storm to support us for our first event of 2019! 1. Roscoe Black beat Sebastian Braun. 2. Terrell Kenneth beat Dakoda Orion. 3. Frankie Feathers, Kate Carney and Kenny Brown beat Captain Nick Ando, Cloudy and Jerk Cockins. 4. Randy Philbrick beat Andrew Cravatta. 5. Bill Collier beat Vinnie Moon and Sebastian Suave in a handicap match. 6. ESW Tag Team Title: Vince Valor & James Sayga beat Handcrafted (RJ City & Gregory Iron) to retain. 7. Anthony Gaines beat Tarik. 8. ESW Heavyweight Title: Brandon Thurston beat Pepper Parks to become new champion. 9. Allie beat Lisa Marie (fka Victoria).